Brooklyn, New York City, NY. September 25th 1971. 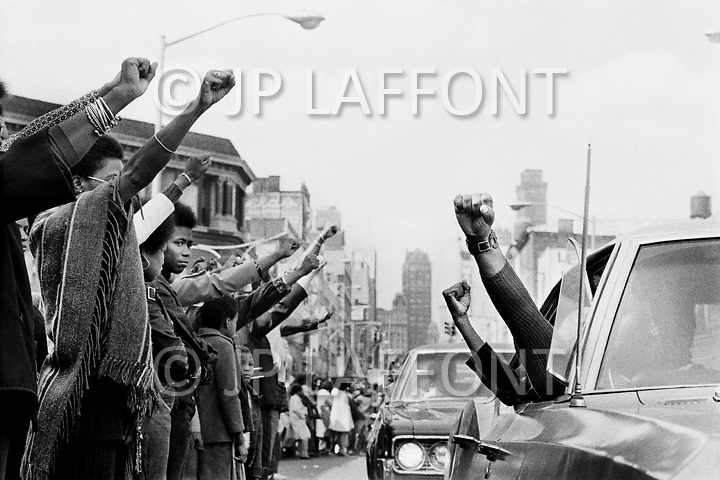 Black people hold the Black Panther salute in tribute to the six black prisoners found dead at Attica Prison, during the funeral held in Brooklyn.